We can visit you and repair your phone today! We can come to you in Cambridge at a time and place that suits you, to repair your phone in the comfort of your home, workplace or local coffee shop and repair your phone today! We can repair almost any issue on a broken iPad from a broken screen to a faulty lock button in Cambridge and the surrounding areas. We can repair almost any issue on a broken iPhone from water damage to a broken screen in Cambridge. We can travel to you and fix your iPhone in Cambridge and the surrounding areas. Locations available but not limited to Royston, Ely, Newmarket, Waterbeach, Great Shelford and St. Ives. 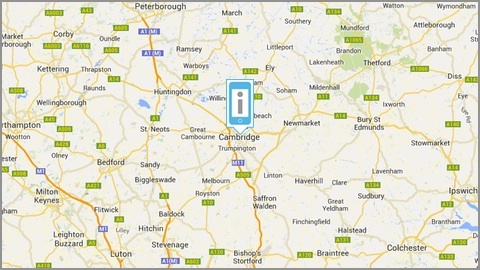 We operate a call out service in and around Cambridge where we can visit you to collect your device and either repair it on site or deliver it back to you.